Gluten free buckwheat pancakes with fresh pears are the perfect start to a weekend. 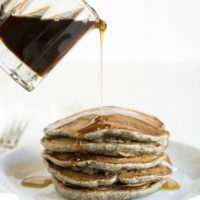 This healthy buckwheat pancakes recipe makes fluffy gluten free pancakes that hold syrup perfectly. Sometimes you need a breakfast that will please everyone. 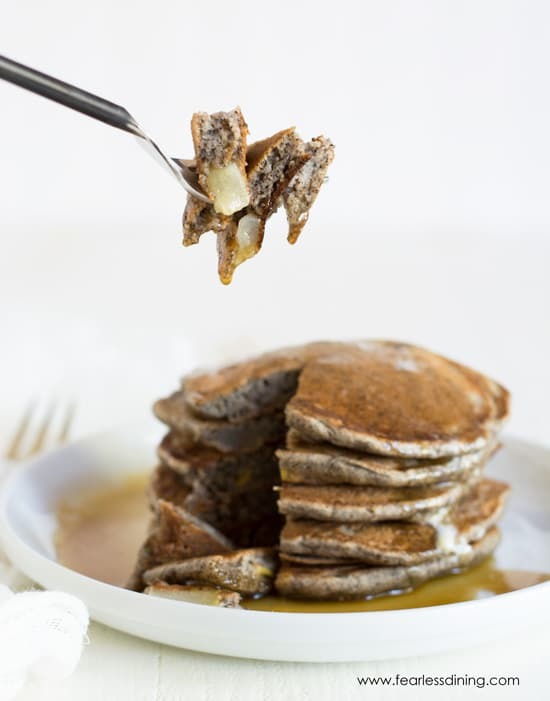 For those mornings, these Gluten Free Buckwheat Pear pancakes will be the perfect way to accomplish this! 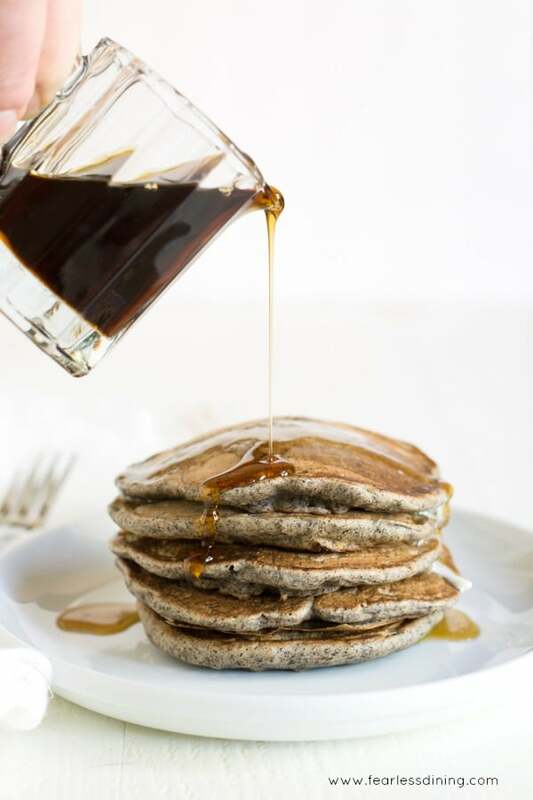 Your whole family will love this easy gluten free buckwheat pancake recipe! Our family loves pancakes for breakfast. I decided to surprise them with these easy gluten free buckwheat pancakes the first morning of winter break. Two weeks of sleeping in, lazying around the house, and just laying in bed. Winter break is my kids’ favorite time. School is grueling, and homework often keeps them up late during the school year. For the next two weeks they get to play catch up…including enjoying this special pancake breakfast. 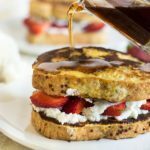 My kids also love these Paleo Banana Flour Waffles and these Gluten Free Coconut Pecan Pancakes for breakfast! This is definitely a special occasion, treat stack of pancakes. 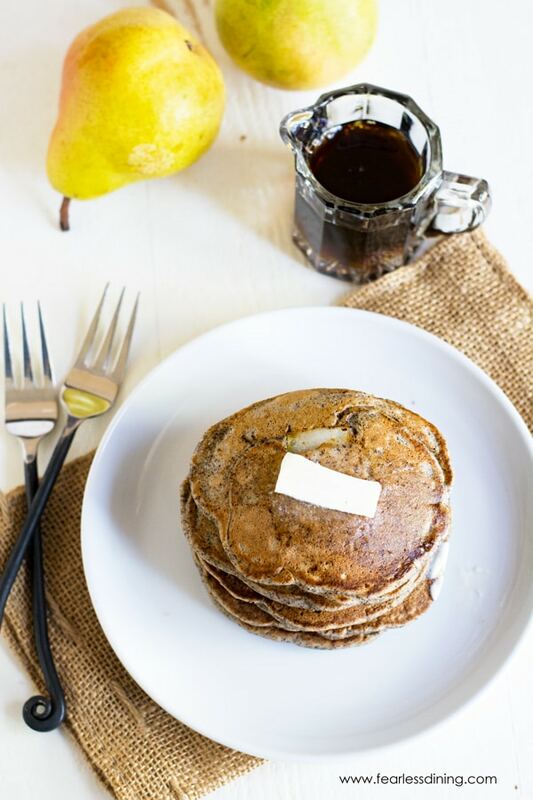 The sweet pear flavor blends with the buckwheat to make a delicious stack of buckwheat flour pancakes. Don’t tell my kids these pancakes are healthy…that will be our little secret! When Mr. Fearless Dining tried these pancakes, he said they were his favorite pancakes ever. That is pretty cool to hear him say! Buckwheat is one of those deceptive sounding flours. Even though it has the word “wheat” in its name, buckwheat is 100% gluten free! It is a denser grain, and the flavor is also great in savory recipes. I have a couple of buckwheat flour recipes on my blog, like these Gluten Free Buckwheat Cheddar Scones and this Gluten Free Buckwheat Vermicelli Stir Fry. I used bosc pears in this recipe. Pears are in season and they are at the peak of flavor right now. I really think pears are one of the more underused fall fruits. 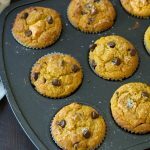 We use pears a lot, one of our favorite pear recipes is this Paleo Pear Muffin recipe. And if you like sangria, this delicious Pear Sangria recipe is fun too! I left the skin on these pears for the extra fiber. The skin cooks easily with the pears to become really soft. 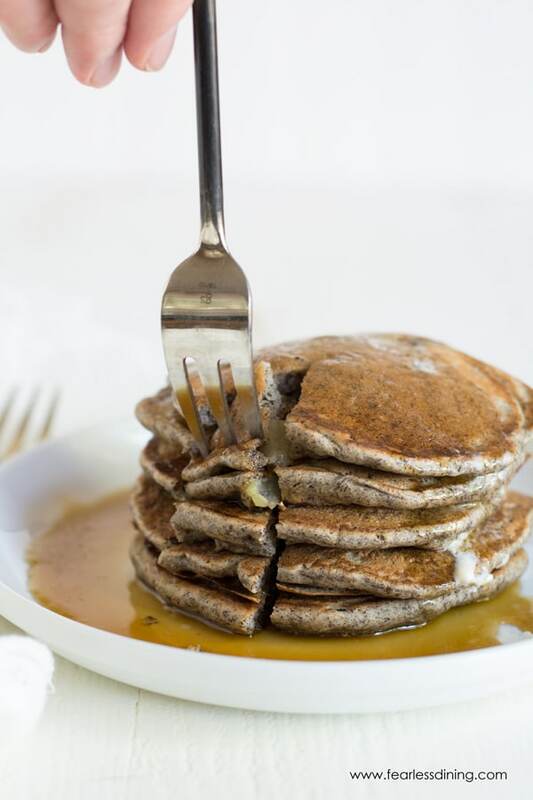 Your whole family will love these healthy buckwheat pancakes! The buckwheat flour pancake batter is easily mixed up in one bowl. Low Carb Pumpkin Coconut Flour Pancakes by All Day I Dream About Food. Heat a large 12 inch cast iron skillet on the stove with 1 tablespoon of coconut oil. In a large bowl, add all wet and dry ingredients. Whisk to blend. Add the pears and mix well. Pour pancake batter into cast iron skillet. The skillet should cook 4 pancakes at a time. Flip the pancakes over when the batter begins to bubble. 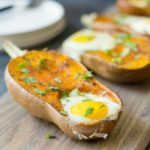 Loving this recipe Sandi! Such beautiful new photos too. Love buckwheat pancakes need to get that on the grocery list for sure. Wishing you a super holiday weekend! I absolutely love buckwheat pancakes, these will be such a treat! Perfect for Friday morning after the sales!!! Thank you Debra, I hope you have a lovely holiday! Wow, I would make this delicious Pear Caramel Dutch Baby Pancake as a dessert OR “Breakfast for Dinner” is on this recipe. So good!!! Will this recipe work with apples in place of pears? It will definitely work well with apples Diane 🙂 I appreciate your checking. My son asked me to try this with blueberries next week. I will let you know how that turns out. This looks gorgeous Sandi!! Hope you have a wonderful holiday season and a Happy New Year! Your pancake recipe looks simply amazing! I really need to give a try!! Oh Sandi, I have never seen a more delicious looking dutch baby…and with caramel…oh my.